Woodworking always involves a certain amount of sanding. Unless you manage to cut your wood parts right on the line on the first try, there is a good chance you will have to sand a few millimetres from time to time. Sanding produces a clean and smooth surface but also create a lot of dust. It can also be time consuming depending on the hardness of your wood.rts right on the line on the first try, there is a good chance you will have to sand a few millimetres from time to time. I recently started a spinning wheel project. I chose to use Maple for the whole frame except for the wheel which is made out of birch plywood. The first thing I noticed is that Maple is very hard. If you cut a part a little bit too large, you will spend quite some time trying to sand it down to the line. You might not have the money to buy a belt sander so here’s a cheap and quick sanding tool everyone can build using standard tools: The DIY Sanding Drum ! I wont go over the building process as the following video explains it well enough. 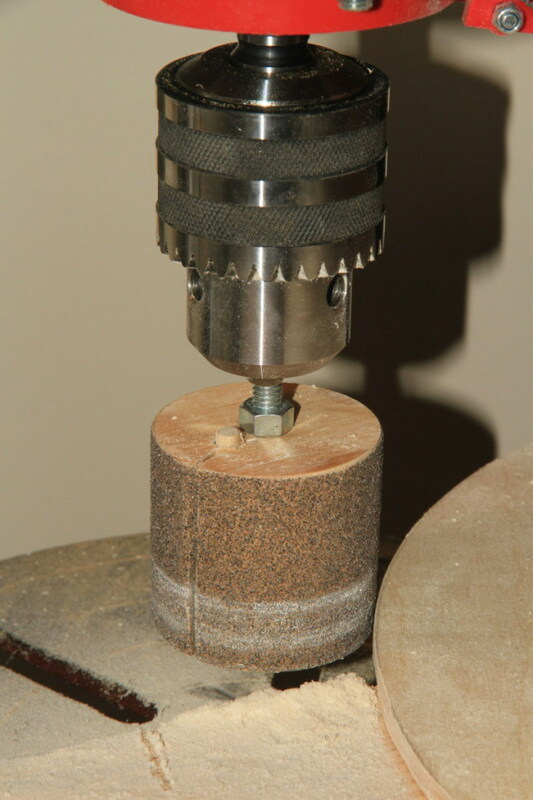 If you place this sanding drum on a drill press, you get the accuracy needed to produce squared parts. This website is a collection of projects, crafts and ideas. The idea is mostly to create objects to acquire knowledge and building skills. Some of those items are quite useful, others were just a challenge to the brain and hands.